Due to weather conditions, the was re-scheduled to Tuesday, April 5.The weather was sunny and cool. A breeze helped the smoke lift and disperse. 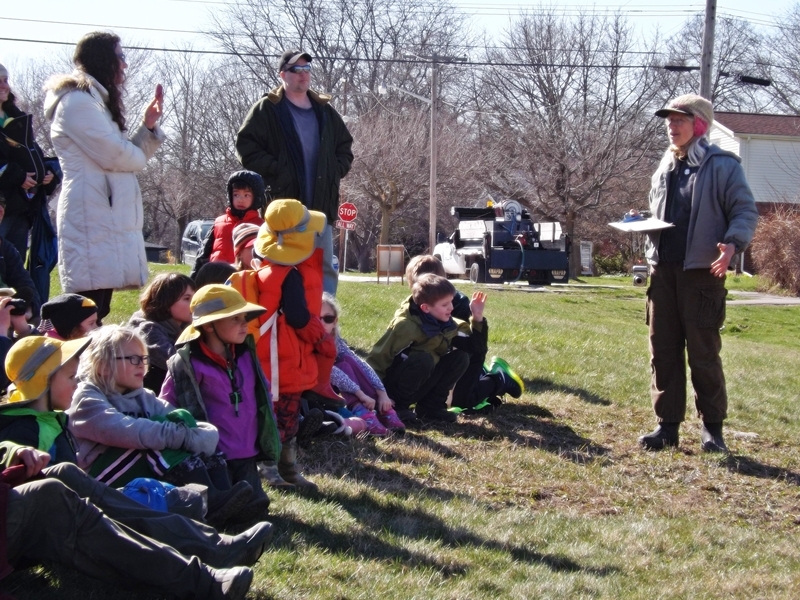 Many children, parents and neighbors helped with seed collection and dispersal. All watched the burn from a safe distance. 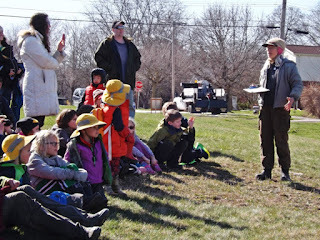 As usual, we spent time explaining why the wet meadows are important and why controlled burning helps the native plants.